The Best Faith Blogs for Christians from thousands of Christian and Inspirational blogs on the web using search and social metrics. Data will be refreshed once a week. Also check out Faith Podcasts. Faith newsletter is a comprehensive summary of the day's most important blog posts and news articles from the best Faith websites on the web, and delivered to your email inbox each morning. To subscribe, simply provide us with your email address. About Blog FaithGateway is an online community for readers to discover great content and engage with their favorite Christian authors. The mission of FaithGateway is to help you grow and share your faith. Facebook fans 370,574. Twitter followers 6,003. Minneapolis, MN About Blog Find your joy in God with sermons, books, podcasts, video, and daily articles from the ministry of John Piper. Facebook fans 985,166. Twitter followers 482,441. San Francisco, CA About Blog TheSubreddit Faith is a place for positive, encouraging discussion of faith. Any and all traditions are welcome. Facebook fans 1,035,501. Twitter followers 447,617. About Blog Equip. Teach. Form. Resources for Disciples of All Ages. Choosing Curriculum A good-fit curriculum helps people grow in the knowledge and love of God. Facebook fans 2,485. Twitter followers 488. About Blog Blog by Kelly Balarie. Here you will find practical tips, stories, insights, encouragement and love to move you closer to God. Facebook fans 13,082. Twitter followers 58,573. About Blog Byfaithonline.com is the web magazine of the Presbyterian Church in America. The title is inspired by Hebrews 11 and the realization that just as it was "by faith that Abraham obeyed and went," we live by faith today. ByFaith's mission is to draw readers into the full life of the Church by informing, edifying, and encouraging them with the news of God's kingdom. Facebook fans 2,235. Twitter followers 5,911. About Blog Blog by Ann Voskamp. Here you will find stories of faith because God has burning bushes everywhere. Facebook fans 485,014. Twitter followers 176,105. Raleigh, NC About Blog AnGeL Ministries exists to serve God by evangelizing the lost and reviving the hearts of God’s people in their relationship with Him through exalting Jesus Christ and proclaiming God’s Word. We believe that the Bible is the Word of God, inspired by the Spirit of God, without error and thus the supreme and final authority for faith and practice. Facebook fans 274,554. Twitter followers 27,262. About Blog Living a purposeful life in Jesus Christ day by day. Each day provides a short reflection to encourage you in your orthodox Christian faith. Facebook fans 20,638. Twitter followers 13,623. North Dakota About Blog We proclaim and defend the Good News that Jesus Christ’s life, death, and resurrection are given FOR YOU—for the forgiveness of all your sins. Facebook fans n/a. Twitter followers 13,808. Bellingham, WA About Blog Our mission is to help people grow in the light of the Bible. We leverage technology to provide Bible study tools and services for the church. Find Bible study tips, free Christian books and resources, updates about our products, company news, and more. Facebook fans 12,353. Twitter followers 7,039. Facebook fans 1,687. Twitter followers 4,900. Monument, CO About Blog Blog by Sally Clarkson. Her passion is to mentor women and to disciple them to become the women they were created to be. Coming alongside moms to encourage them has been a commitment of my ministry. I hope you will find inspiration to cultivate such a life within the pages of this blog. Facebook fans 46,315. Twitter followers 11,855. Knoxville, TN About Blog Faith Promise Church are committed to impacting the world for God, starting in our surrounding counties. It is our desire to provide a relevant environment for you and your family. Facebook fans 13,483. Twitter followers 4,085. Kansas City About Blog A veteran journalist writes about matters of faith and ethics. Blog by Bill Tammeus. Facebook fans 314. Twitter followers 668. Nashville, TN About Blog CEF is an association of United Methodists and persons from other denominations who have responsibility for Christian education or faith formation in any of its diverse forms, in and beyond the local church. Our mission is to develop leaders in faith formation to equip people of all ages to live as disciples of Jesus Christ. Facebook fans 1,410. Twitter followers 1,748. About Blog We explore fantastical stories for God’s glory. Speculative Faith’s regular contributors are biblical Christians. We are unified in our belief in the essentials of the faith. Facebook fans 666. Twitter followers 826. Conover, NC About Blog Real Life" posts as a follower of Jesus on my ups and downs my struggles and insecurities but above all else, I share how God brings me through it all and he'll do the same for others. I write about the unconditional love, hope, restoration, and salvation that's found when surrendering our lives to Jesus Christ with multiple Bible Studies that point to him as our ONLY source of strength. Facebook fans 1,843. Twitter followers 6. About Blog Help, Hope and Encouragement for Women. What you can expect from Warrior Women is a place to come to relax. We are all on the same team. We are all women trying to love our husbands, love our kids, keep our homes neat and clean and prepare healthy and decent meals. We all want to get or keep our finances in order. We all need someone to be our cheerleader and encourage us! Facebook fans 175. Twitter followers 248.
lagos, nigeria About Blog Though words God created the world; through just one insightful word destinies can be re-birthed, re-created and re-invented! This is where just one word can change your world, because 'he sent his word and healed them and delivered them from their destruction'. Just one truth can be bring about your desired breakthrough! Facebook fans 868. Twitter followers 56. United States About Blog Welcome to the Castle of Faith. We believe that all scripture is inspired by God, and want to share His Word with you not only through our products but through our daily walk with Him. We're a family-owned, all-inclusive Christian apparel brand. Proud to be minority and female owned and operated. Facebook fans 509. Twitter followers 160. Silicon Valley, California About Blog Bonnie Gray is the writer behind Faith Barista, a blog that serves up shots of faith for everyday life. She is fascinated with the challenge of keeping faith hot and fresh in the daily grind. Her writing springs from the belief that the best often takes place in moments unseen and stories unheard. Facebook fans 8,151. Twitter followers 57. North Dakota, USA About Blog The imitation of Christ, in love, is the way & goal of our vocation. Wylie, TX About Blog A blog dedicated to women who want to grow spiritually that love God, travel, and fashion! Weekly blogs to help and inspire us live our best life. Facebook fans 11,858. Twitter followers 4,038. Isle of Lewis, Scotland About Blog HI, I am Catriona Murray. I will be talking about Christ, about bereavement, Gaeli, history, about what I’m reading, what I’m writing and what I’m doing. Facebook fans 323. Twitter followers 532. About Blog I love the Lord and it is my desire to show this love through my writings on this blog. Blog by Shug Pollard. London ~ Herts About Blog Monharriee is my journey through life where I document my faith & style whilst providing motivational and empowering content to help you live yours. Facebook fans 12. Twitter followers 307. Grand Rapids, MI About Blog Helping people take spiritual risks by applying business & life principles from the Bible to grow in purpose and significance. East of Cleveland About Blog Rachel G. Hackenberg is an author, speaker, ordained minister, and soccer mom. Her book, Sacred Pause: A Creative Retreat for the Word-weary Christian, invites readers to savor the very words of our faith to meet The Word afresh. Facebook fans 511. Twitter followers 1,753. About Blog Quirky Faith means being unexpected and cheerful and seeing God show up in daily ordinary things. Faith takes boring and makes it inspiring. Facebook fans 190. Twitter followers 111. LaMoure, North Dakota About Blog Encouragement to strive toward a deeper faith and a wider witness everyday, every way. Facebook fans 575. Twitter followers 1,227. Fulshear, TX About Blog Gay N. Lewis, Christian romance author of the Sarah series. Stories filled with humor and faith. If you like the humor of Janet Evanovich or Ann B. Ross, you'll like my stories. You'll laugh at Sarah, a dysfunctional, dyslexic angel who tries to master assignments on Earth. With the humor, comes tidbits of insight into faith and human frailties. About Blog Welcome to my blog. I am a proud mother of nine wonderful children, grandmother of twenty four and great grandmother of two - an ever growing family and I love them all. Faith,Family, Friends, Freedom, Fun, Food - all important things to me. It shows in my writing, I'm sure. Indianapolis, IN About Blog Faith Presbyterian Church is a welcoming congregation. We gather to worship God, learn about Jesus Christ and serve through the Holy Spirit. We support one another through the laughter and tears of life. We cultivate faithful relationships that offer peace and purpose in our daily lives. About Blog A discussion of faith, belief and religion for people who have given up on God and/or religion. The blog, published every Thursday, is meant to show that faith and skepticism are not mutually exclusive. Escondido, CA About Blog The mission of Calvin Christian School, in cooperation with the home and church, is to teach the whole child from a biblical worldview, founded in the Reformation, providing children from Christian families with an excellent education for a life of Christ-centered service. Teaching from a biblical worldview, providing children from Christian families with an excellent education for a life of Christ-centered service. Facebook fans 238. Twitter followers 126. About Blog Welcome to Little Faith Blog! Our goal is to inspire girls to grow closer to Jesus Christ each and every day. Feel free to look around! Some things you'll find on our site are monthly Bible reading plans, ideas for the Little Faith Book, devotions, prayer requests, Bible journaling & much more! Southern California About Blog Christian motivational speaker and author helping people discover and live in life-giving truth. She shares her expertise views in matters of faith. Facebook fans 575. Twitter followers 10,002. About Blog Welcome to Walking By Faith Blog. Some stories that will make you laugh, cry, and inspire you, brought to you by this crazy thing called life. Facebook fans 116. Twitter followers 31. About Blog Here we share and discuss the Christian Faith with you as revealed in the Bible personified so beautifully in the Person of Jesus the Messiah. Our shared belief is that Christians grow in their faith by understanding the Bible and its implications; and one cannot become a Christian unless the Word of God impacts a human heart to bring it life. God's Spirit is active in both. Facebook fans 2,157. Twitter followers 2,764. Houston, TX About Blog We believe that Jesus Christ is “the way, the truth, and the life. Our mission is Living Proof Ministries is dedicated to Biblical literacy and a commitment to guide believers to love and live on God's Word. Facebook fans 740,125. Twitter followers 869,660. Sydney About Blog A blog for theological scholarship and contemporary theological reflection. By Ben Myers. Facebook fans n/a. Twitter followers 7,449. About Blog Help us inspire people & share what truly matters. Facebook fans 61,121. Twitter followers 481,250. About Blog Freelance writer blogging about everyday life through the lens of my faith. My desire for these precious humans is that they know my love for them and Christ's love for them. That is my main purpose in life and what I am called to do. And what a blessing it is to be able to do that! UK About Blog Faith-in-Scholarship is a network of fellowship and support for Christian thinkers. We love the rich diversity of God’s world and find that knowing Jesus as Creator, Redeemer and Lord transforms the way we understand it. We also share a passion to see ideas bearing good fruit as we investigate problems, create opportunities and find solutions to the challenges of our time. Facebook fans 192. Twitter followers 94. About Blog Faith to Action Initiative strives to ensure that orphans and vulnerable children are provided and cared for within families, where children grow best. Investing in church ministries and community-based programs that support the needs of families caring for orphans reduces the number of children who are left without care or are placed in orphanages. Facebook fans 1,091. Twitter followers 318. About Blog The Faith movement is a group of priests, religious and lay Catholics drawn together by a shared vision of Jesus Christ as the fulfilment of creation. The aim of advancing the Catholic faith in the modern world by working together to attract many to discipleship of Jesus Christ. Facebook fans 1,171. Twitter followers 273. Missouri~ About Blog Just a simple Bible- believing family who love this place called Home. A person who desires to do justly, love mercy and walk humbly with the One True God. About Blog Blog by Katie Grace. I'm a dreamer of faraway worlds, a writer, a reader, a blogger, and a child of the King. I determined to spread smiles and hope in this messy world. Facebook fans 180. Twitter followers 877. Texas, USA About Blog Love to teach and help people reach closer to God. So many thoughts get left as notes. My blog is a chance to share what the Lord puts on my heart. Facebook fans n/a. Twitter followers 5,751. About Blog We only look for perfection in Jesus. We have a real Savior who transformed our lives from the inside out. We have discovered that not only is Jesus worth living for, He’s worth dying for. We are real people with real problems seeking to live out redemption in a very real way. Facebook fans 544. Twitter followers 633. Edmond, Oklahoma About Blog Our church exists for the glory of God as we serve His people and witness to the world. Our desire is to help you know and follow the Lord Jesus Christ. Faith Bible Church is a nondenominational, evangelical fellowship of believers in Jesus Christ. Facebook fans 521. Twitter followers 172. 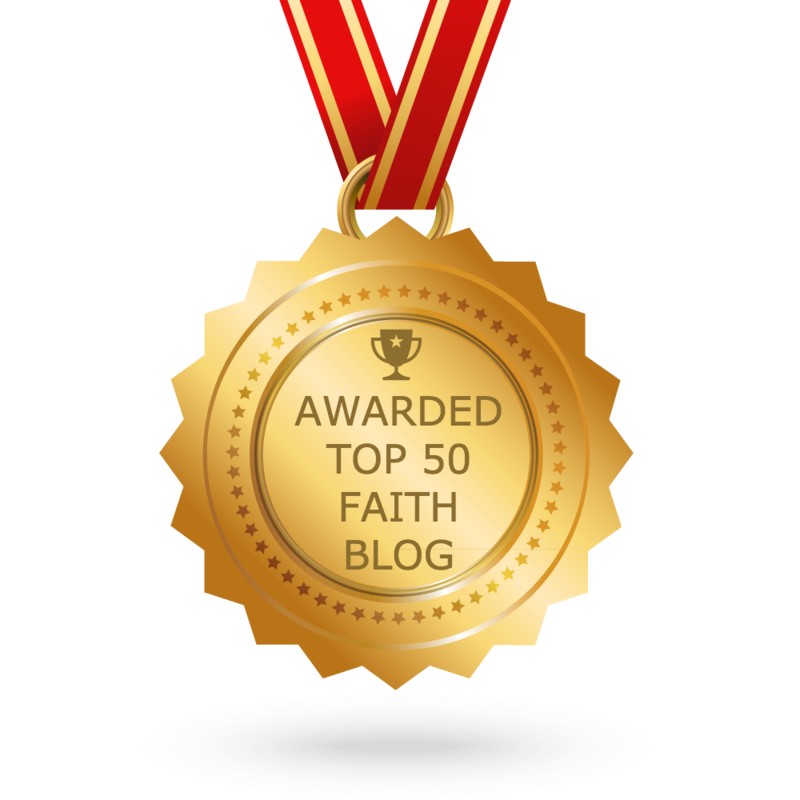 CONGRATULATIONS to every blogger that has made this Top Faith Blogs list! This is the most comprehensive list of best Faith blogs on the internet and I’m honoured to have you as part of this! I personally give you a high-five and want to thank you for your contribution to this world.